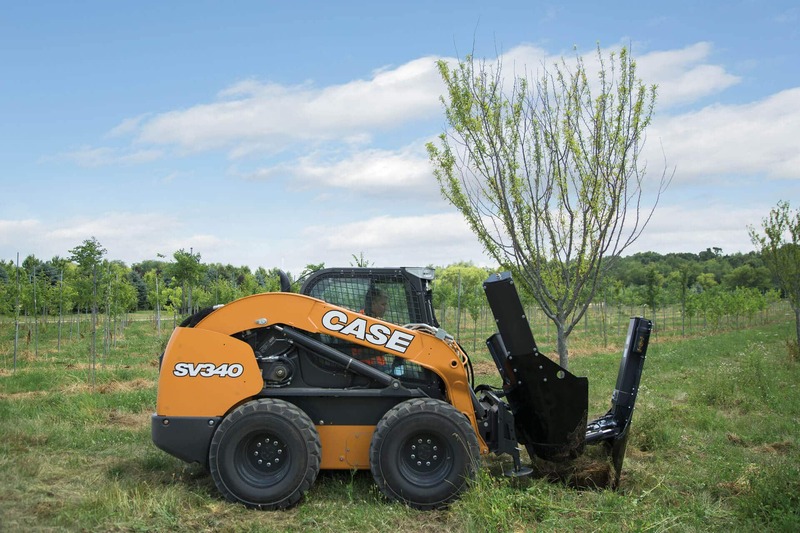 The SV340 features increased hydraulic performance thanks to increased High Flow system pressure to 3,450 psi, a stronger lift arm, H-link, and upper chassis. 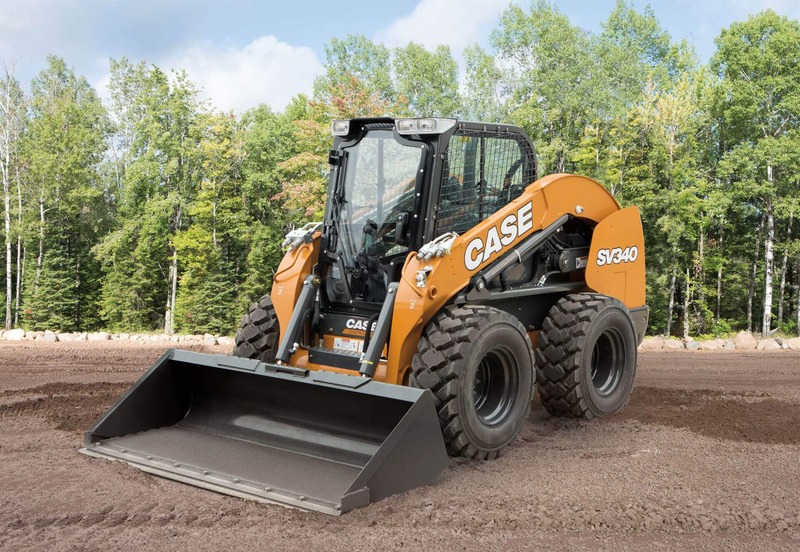 The CASE exclusive 4,000 psi Enhanced High-Flow (EHF) auxiliary hydraulic system is also available. The manifold valves have been changed to ductile iron (from aluminum), and both the hose material and tube wall thickness have been improved. 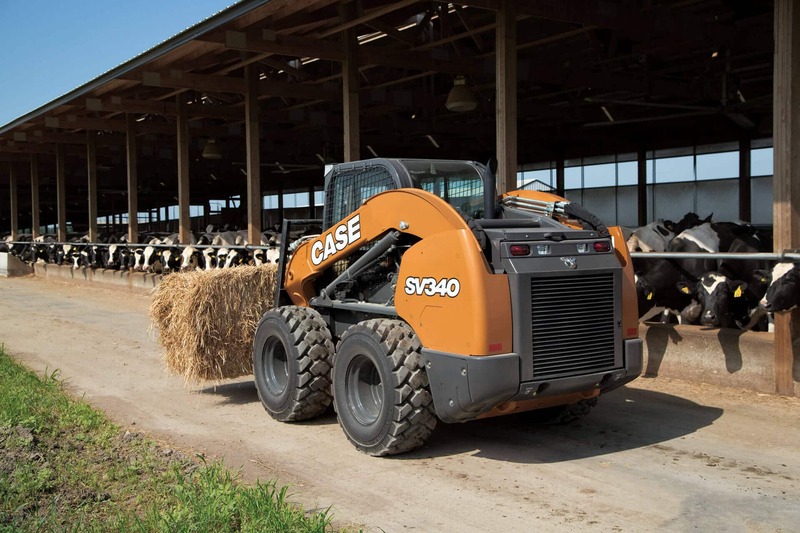 The SV340’s gear pump has a higher-pressure rating and its auxiliary loader circuit has been upgraded to O-ring Face Seal (ORFS) fittings (was JIC). 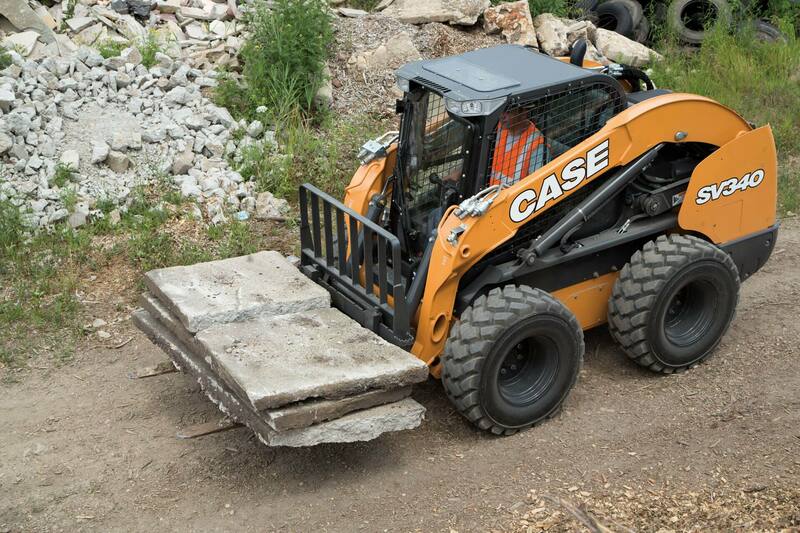 Additional counterweights add stability and a new tire offering is available. 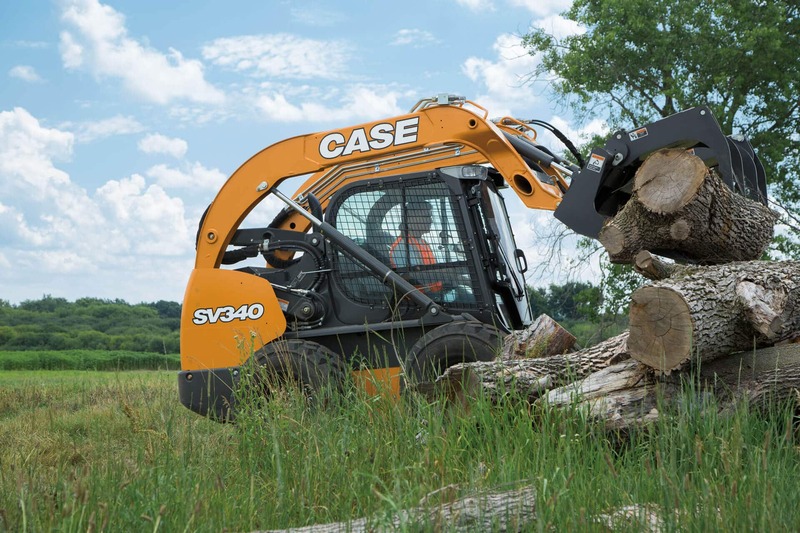 The SV340 employs a powerful SCR Tier 4 Final solution. Because SCR is an after-treatment system, it lets the engine breathe easier and run at peak performance, which translates to maximum power, lower operating temperatures and greater fuel efficiency. Plus, SCR is simple. No new filters. Just pour a little DEF (Diesel Exhaust Fluid) and go. 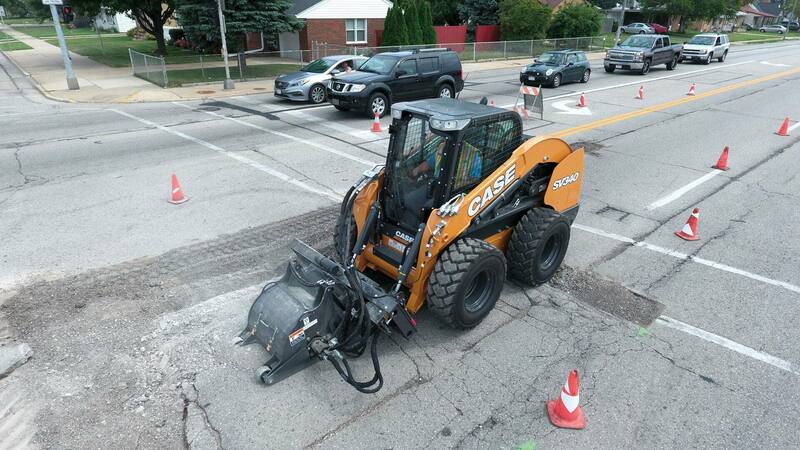 A large, 25.5-gallon (96.5L) fuel tank also enables this skid steer to run all day without refueling. No regen to deal with or a costly DPF filter to replace. 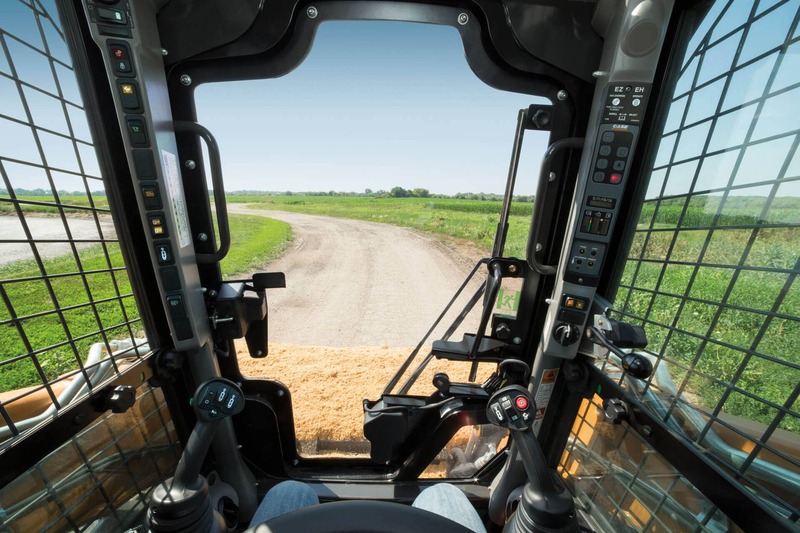 Visibility and comfort remain exceptional with a sealed, 25% larger cab and thin wire side-screen design as well as a large, rounded rear window that provides an expansive glass surface area and a 360° view. Superior stability can be had even in the roughest of terrains with our Ride Control™ feature while nighttime visibility is enhanced with our exclusive side lighting. 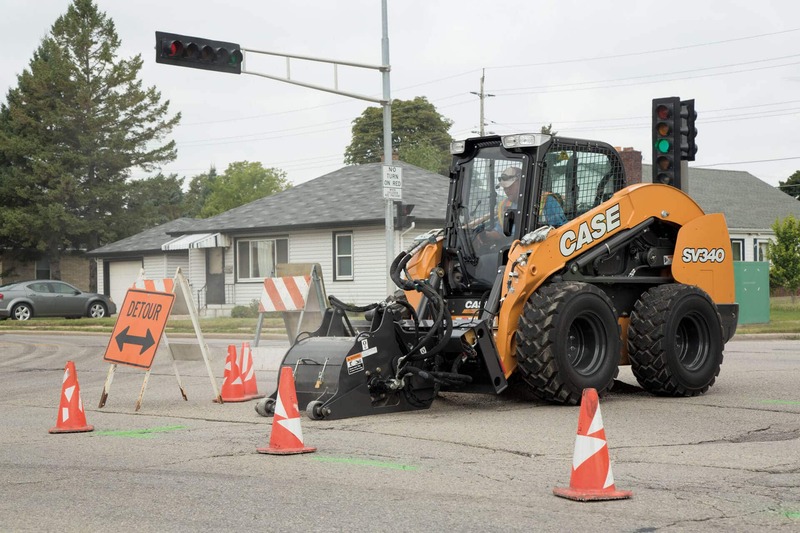 Choose between servo-assist mechanical H pattern controls or optional electro-hydraulic controls for versatility to change patterns and control sensitivity. Mechanical hand and foot controls also available. When you buy a CASE, you want it to last. We make it easy. 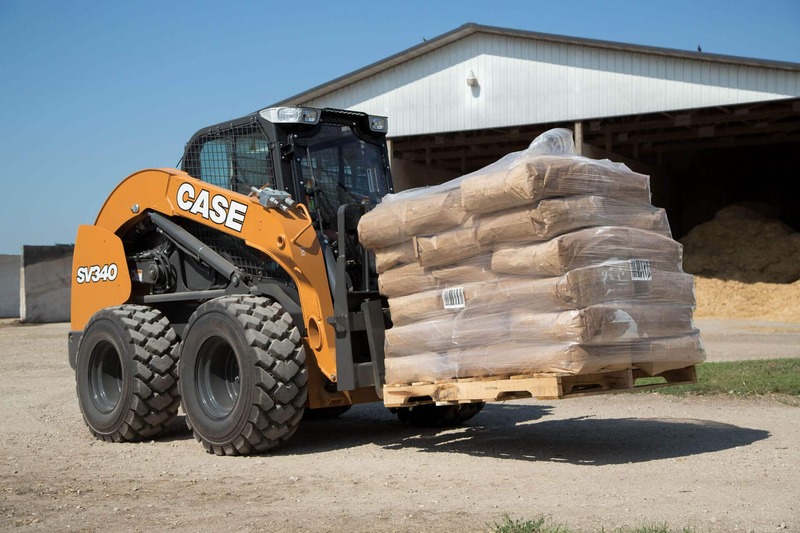 That’s why on our skid steer loaders, routine service points are all located at the rear of the machine, so you can quickly access the engine, filters, fill points and whatever you need to properly maintain and extend the life of the machine. 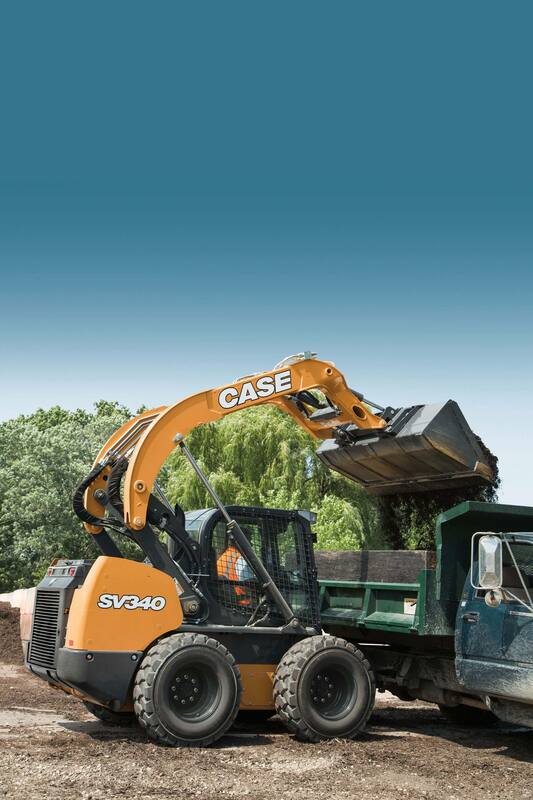 On top of that, we also offer our famous easy-tilt cab for convenient access to the drivetrain compartment. 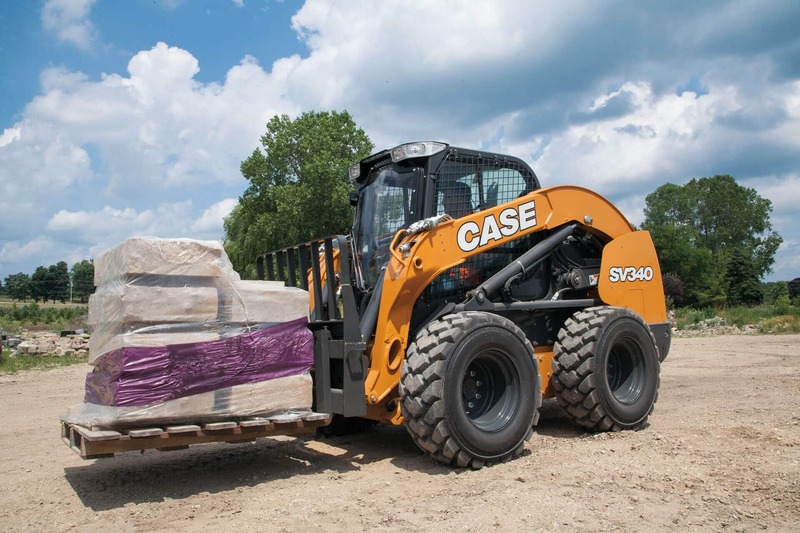 Why this solution: The strongest skid steer loader in our lineup, the vertical lift SV340 is designed for stronger breakout force and loading capacity. 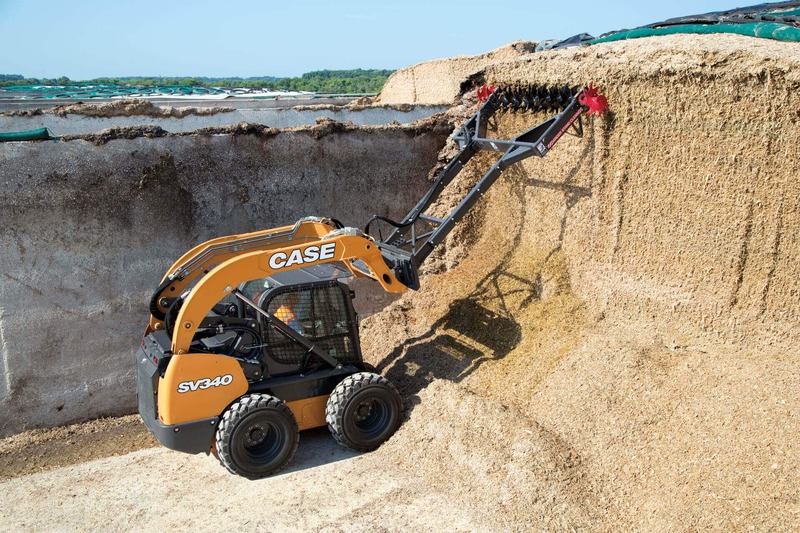 As an after-treatment system, Selective Catalytic Reduction (SCR) lowers exhaust temperatures and does not require unproductive fuel use associated with burning off particulate matter, plus there’s no Diesel Particulate Filter (DPF) to replace making it a great solution for larger, high-productivity engines. 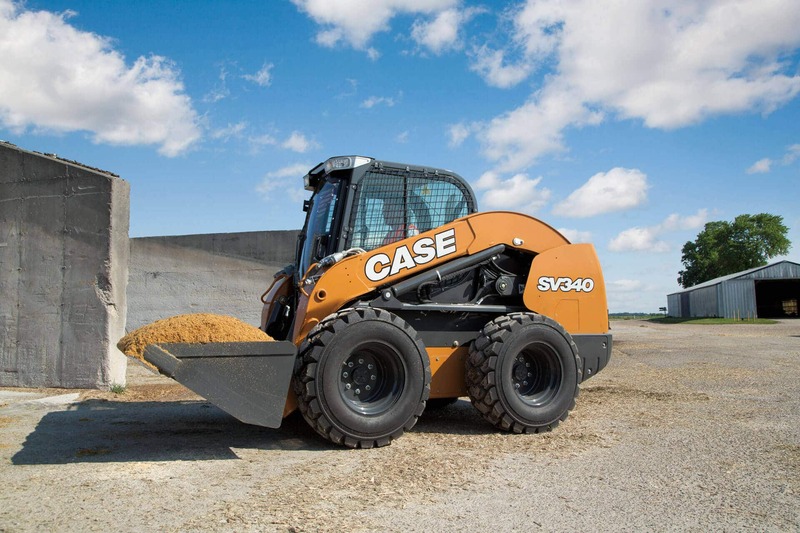 With a rated operating capacity of 3,400-pounds and bucket breakout force of 9,531-pounds, the 90-horsepower SV340 is CASE’s most powerful skid steer ever built.